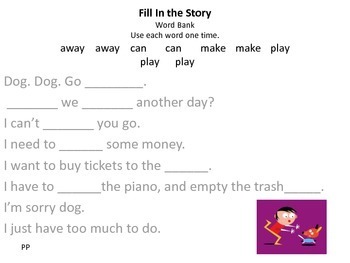 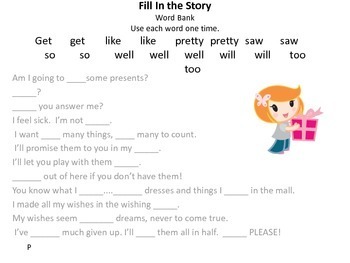 This fill in the story product and following extension activity helps students use these multiple meaning dolch words in context. 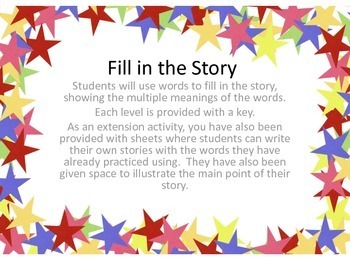 The stories, which include keys range from preprimer to third grade. 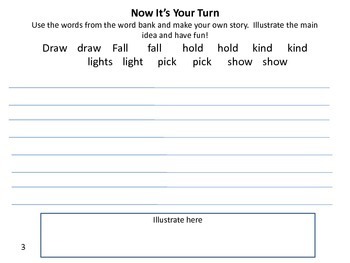 This is a great high level activity.